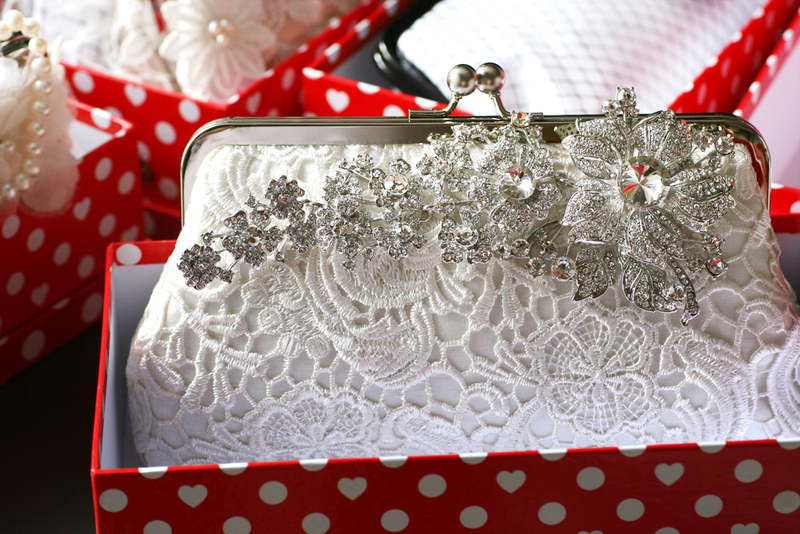 Bridal & Bridesmaids Lace Clutch | Wedding Accessories & Bags | ANGEE W. bridal clutches are coming to LA! ANGEE W. clutches are coming to L.A.! Together with Lovely Bride LA, models will be walking down the runway wearing our handmade bejeweled clutch bags. If you are in LA and have always wanted to see our clutches in person, this year’s Fizz & Frills is an event not to be missed! 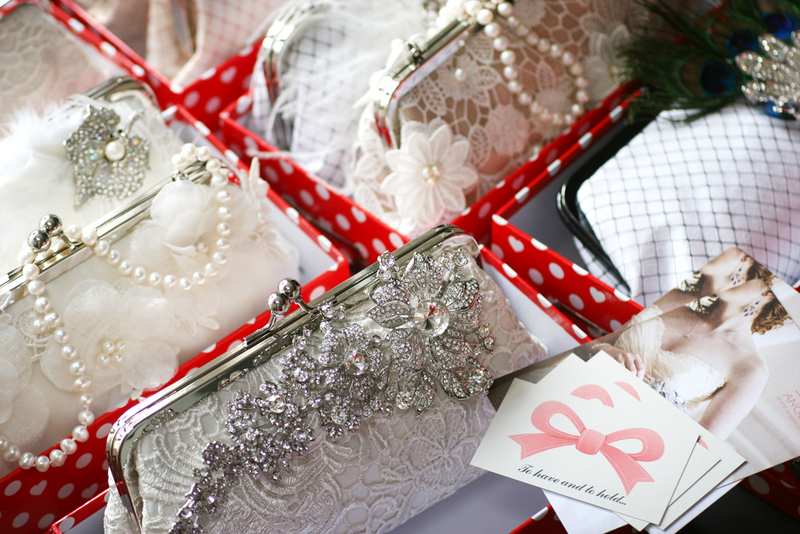 Here’s a sneak peek of the clutches we’ve chosen to show at the 2012 Fizz & Frills Bridal fashion show. ANGEE W. Ivory Bridal lace clutch bag with a statement rhinestone & crystal brooch. The brooch measures almost 8 inches across. Handmade and designed by ANGEE W.
Organza, Alencon, and tulle clutch bag in ivory. 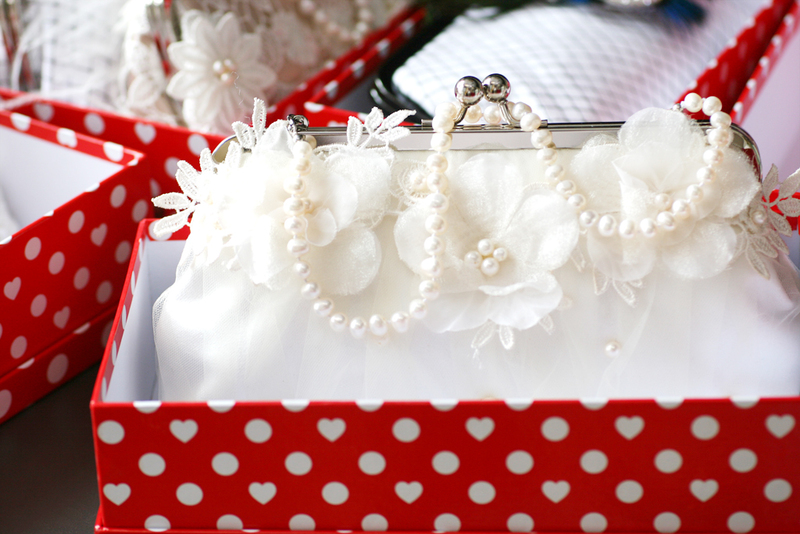 The bag is hand beaded with fresh water pearls and organza organza flower. A string of freshwater pearls handle, strung with a knot in between each pearl, comes with this clutch bag. 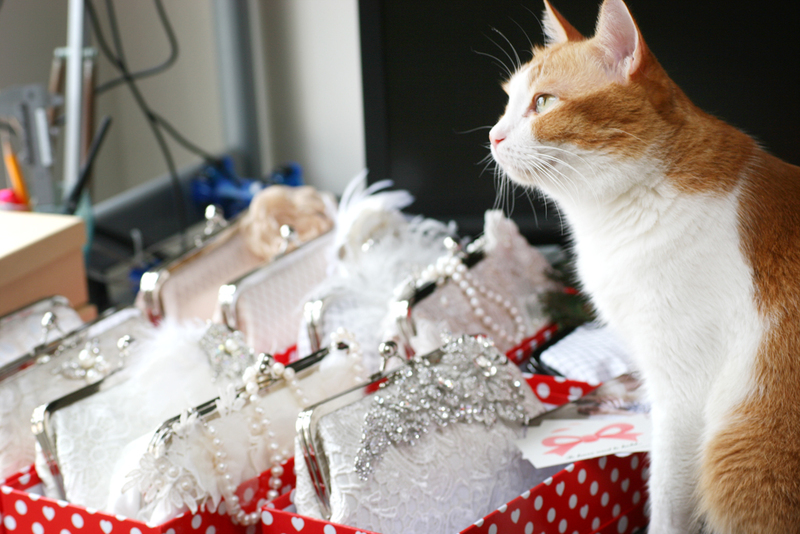 Handmade and designed by ANGEE W.
Our little helper, Sebastien the Cat, visually inspect all clutches before we pack them into their lovely little gift boxes. Here are the details to the event and we hope to see you there on September 9, 2012! COST: Early Bird Rate $20, General Admission (after 8/17) $30 Buy your tickets before its gone. ADMISSION INCLUDES: As the days get closer we’ll be revealing more! So stay tuned!